First look of The Dutt Biopic starring Ranbir Kapoor out April 24th! 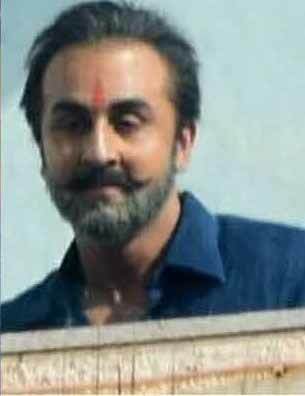 Here’s some exciting news, the teaser of Rajkumar Hirani’s highly anticipated Dutt Biopic starring Ranbir Kapoor will launch on the 24th of April. The biopic on the life of Sanjay Dutt is written and directed by Rajkumar Hirani. The film also features Paresh Rawal, Sonam Kapoor, Dia Mirza, Karishma Tanna, Manisha Koirala, Jim Sarbh, Vicky Kaushal and Boman Irani. The director tweeted the news today! Along with an online release, the teaser have the biggest ever television launch and will be aired across 80+ TV Channels over a period of 2 days. Led by a massive roadblock on the entire Star network at 19:58 hrs, the 85 second teaser will exclusively play on 15 key channels like Star Plus, Star Bharat, Star Gold along with showcasing on IPL that is airing on 8 channels this year and Hotstar. This will be followed by an additional 60 channels across English, Hindi and Regional languages the next day, that would encompass the TV audiences across all key markets like Maharashtra, West Bengal, Punjab, UP-Bihar, Gujarat along with the 4 south territories. The simulcast would reach out to 100mn+ unique TV viewers in India, making it the highest ever viewed movie teaser! Produced by Vinod Chopra Films, Rajkumar Hirani films in association with Fox Star Studios.